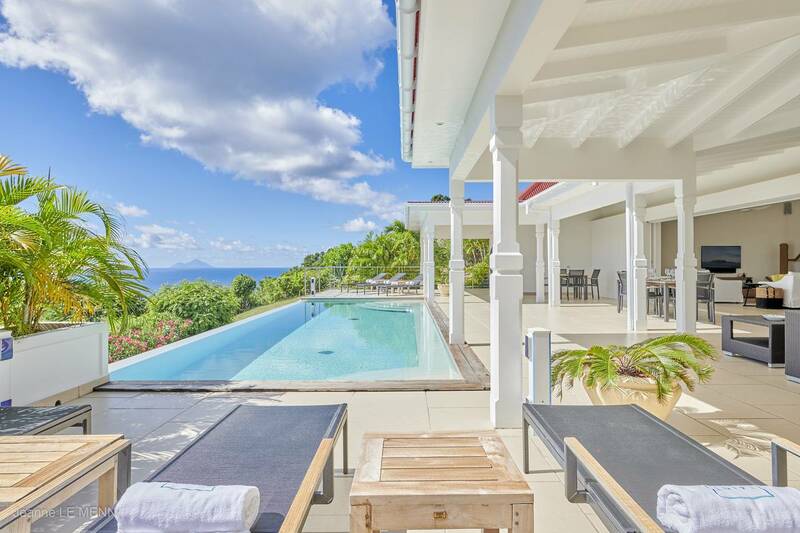 Dream About: Waking up in a fabulous villa and strolling to one of the island’s boulangeries for French pastries and a baguette. 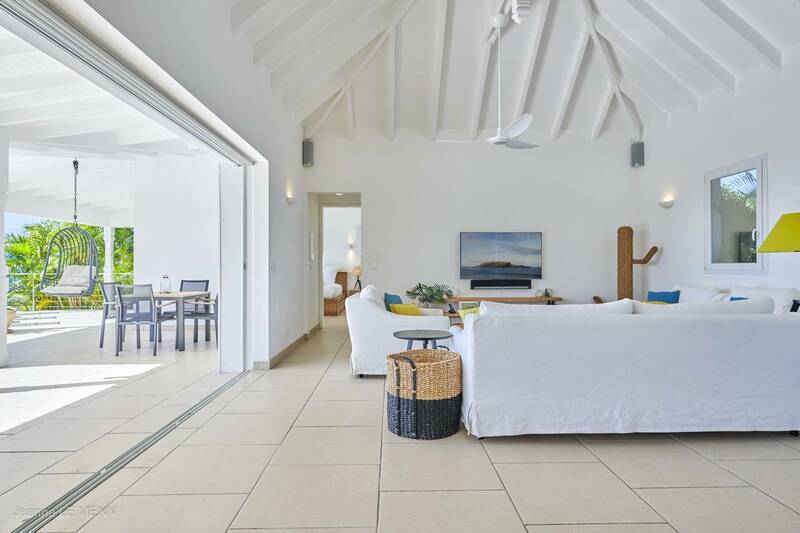 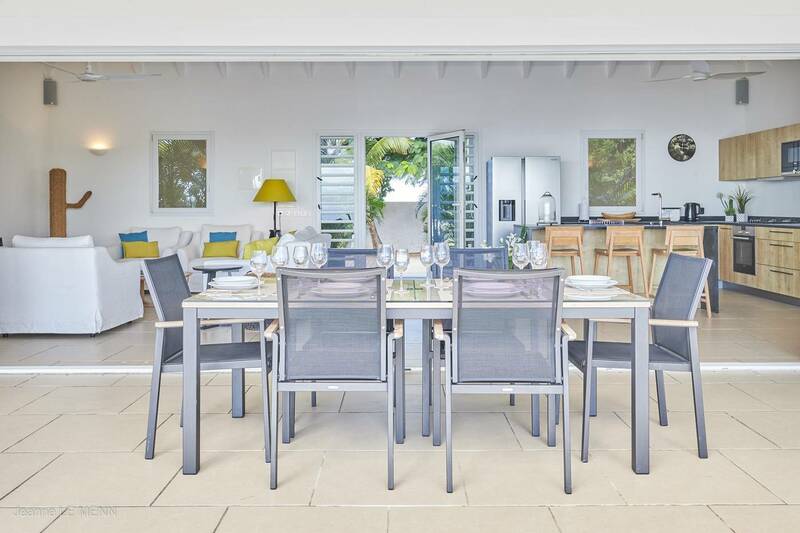 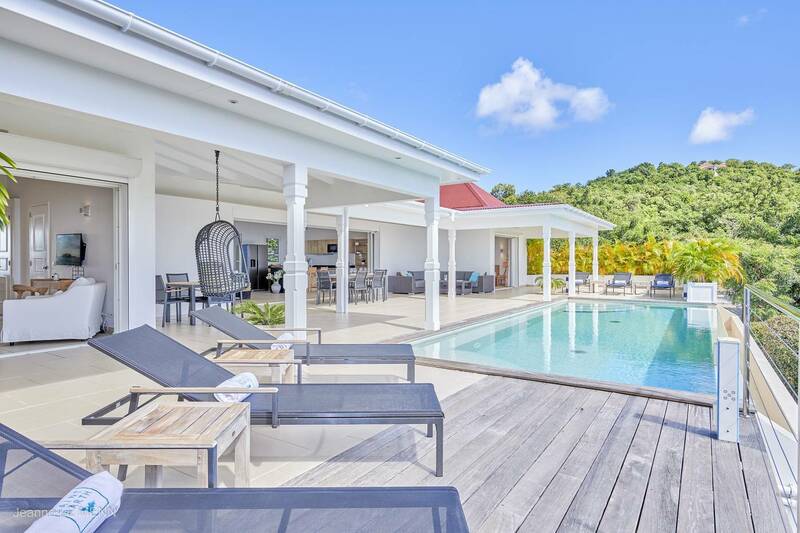 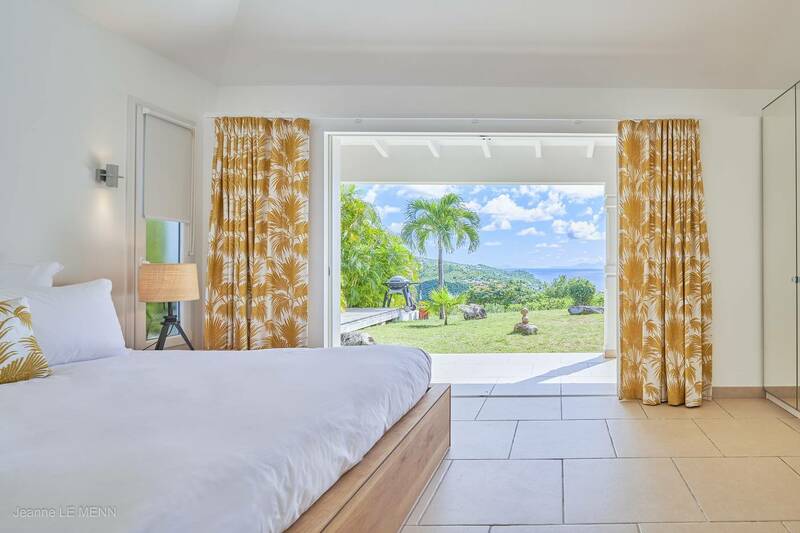 There are at least a baker’s dozen of reasons to rent this delightful 3 bedroom Colombier villa and one of them is the nearby boulangerie. 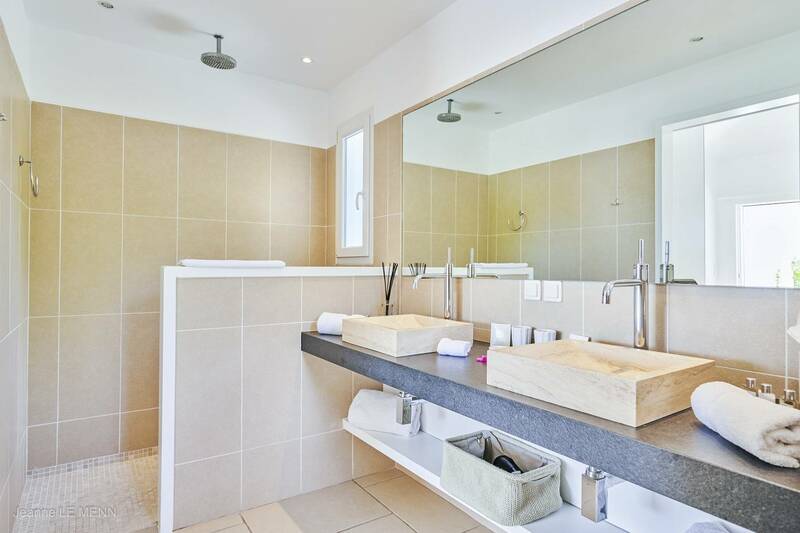 Guests love the ritual of the aromatic morning walk to pick up freshly baked croissants and baguettes. 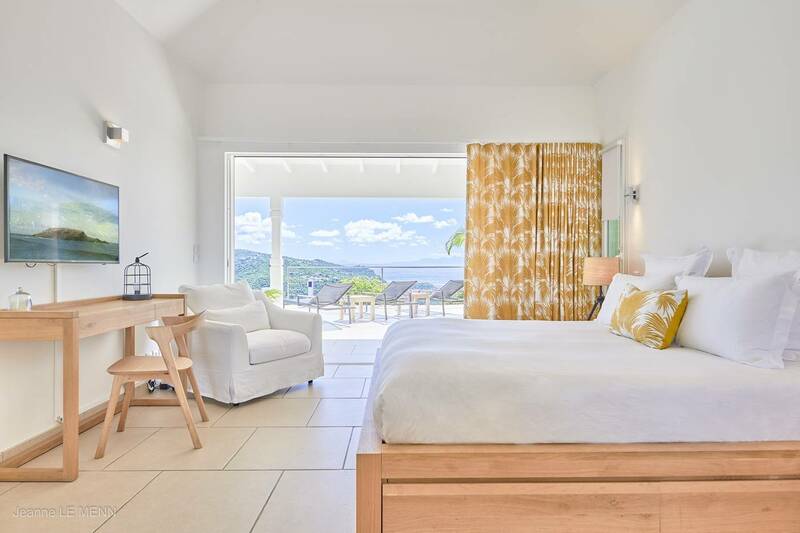 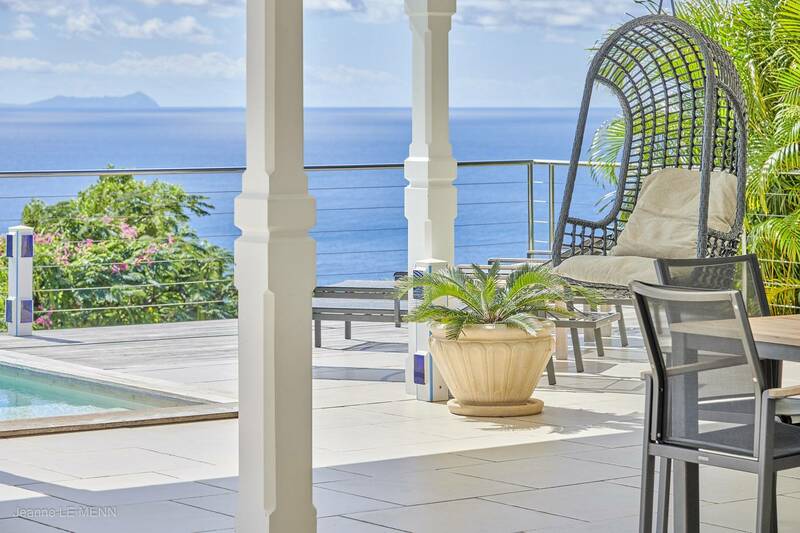 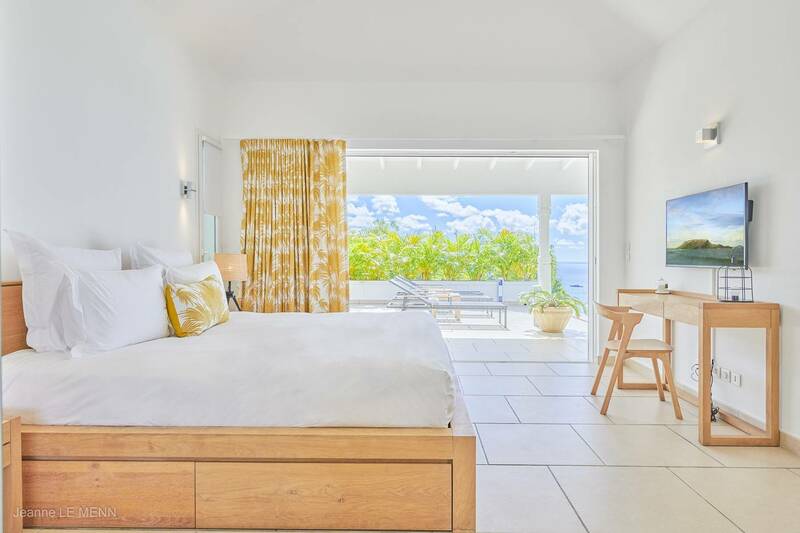 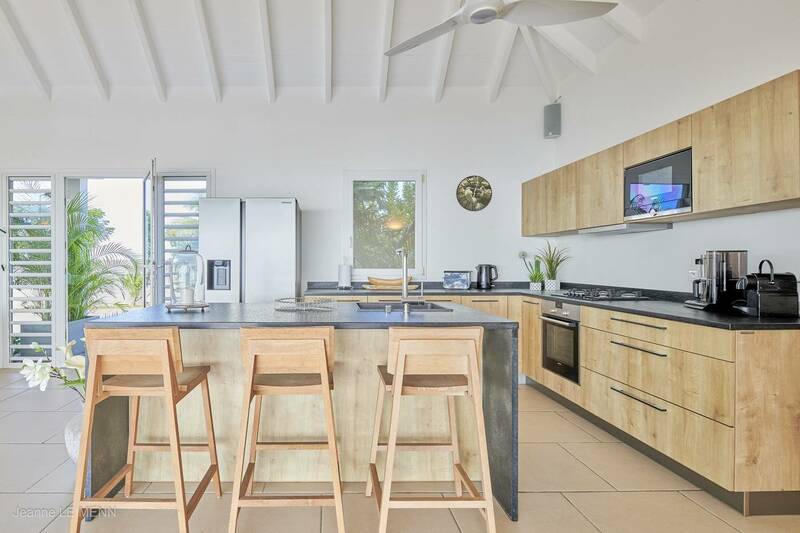 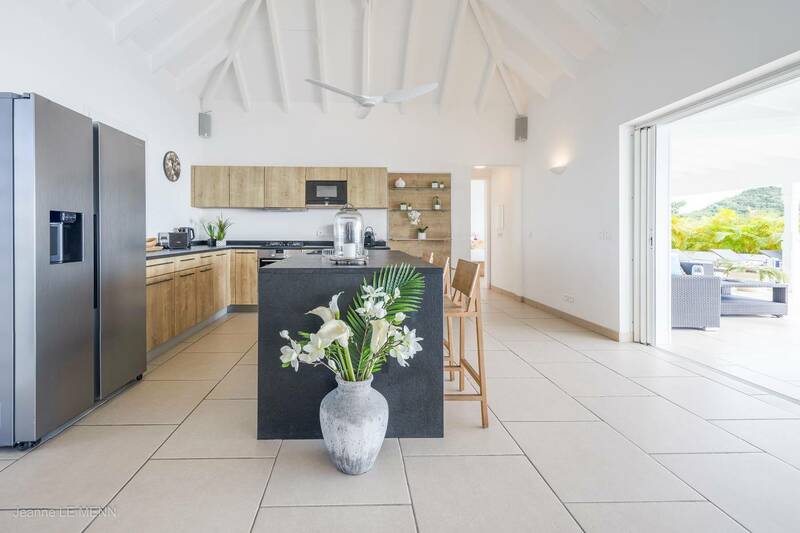 The villa’s well equipped kitchen includes an espresso machine, and with cup in hand it’s just a few steps to the outside dining terrace to relax and feast on French pastries – and the spectacular view of the islands of Saba, Statia and the tip of Gustavia as wel as the sunset. 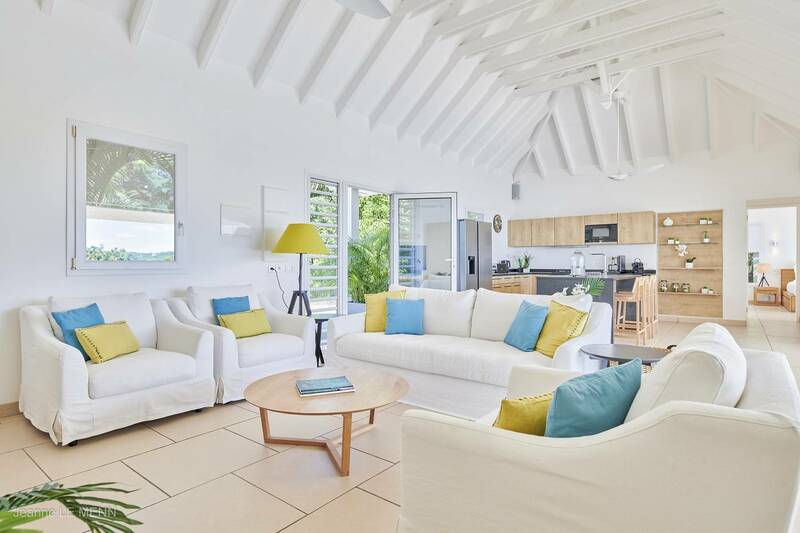 The villa’s main pavilion’s open floor plan includes a spacious and chicly decorated living room (its TV is equipped with both US and French satellite service) and expansive outdoor living spaces are centered around a large (33 x 13 ft) infinity pool that is heated in winter. 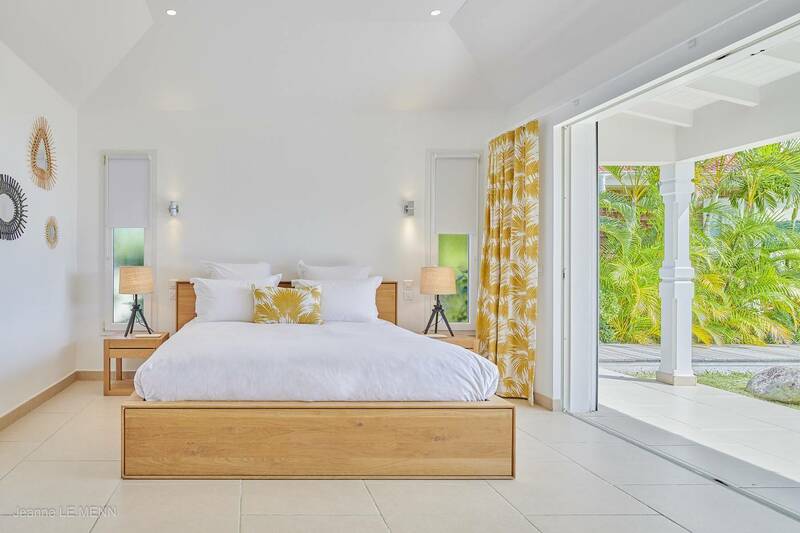 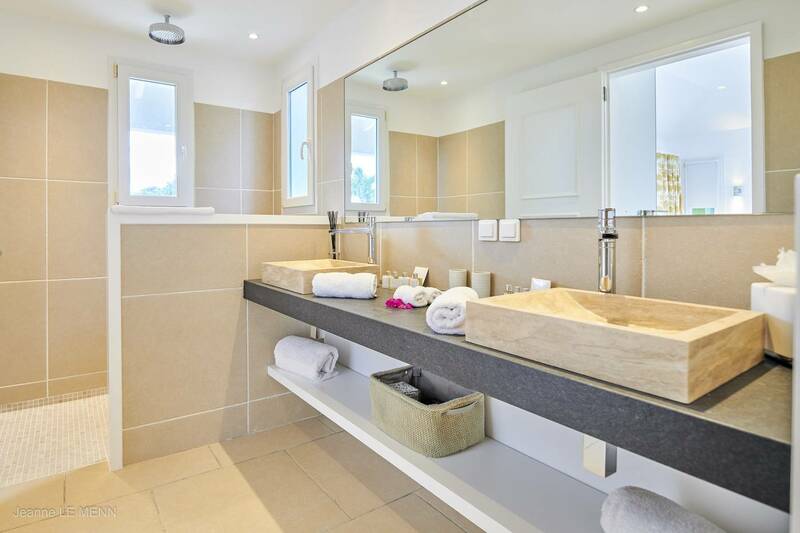 Two king bedrooms are located on either end of the villa and their en suite baths feature double-vanities and rain showers. 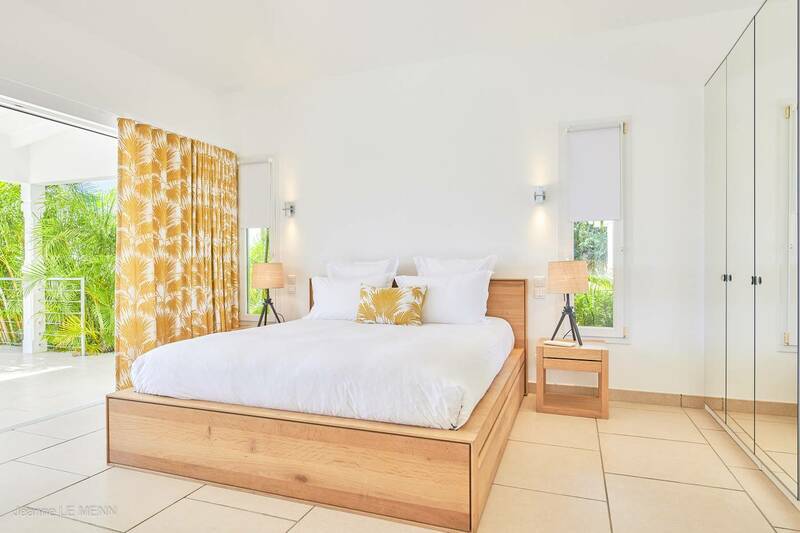 Each bedroom has accesses via sliders to the terrace. 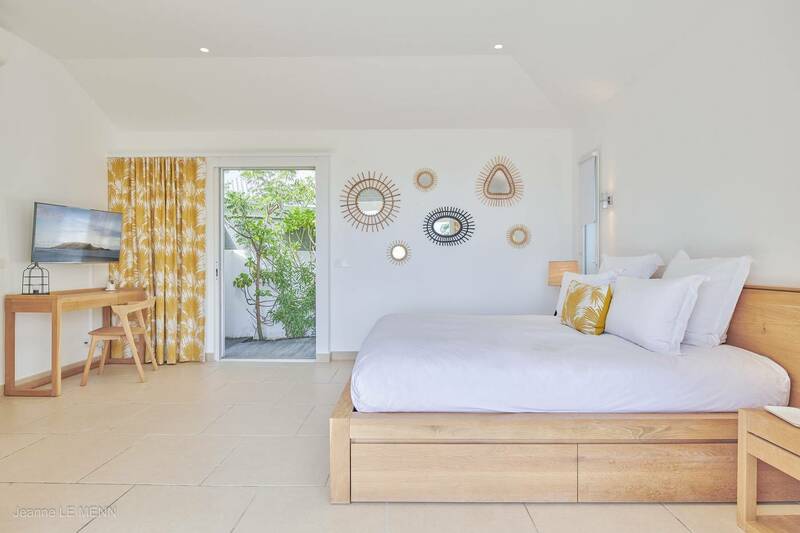 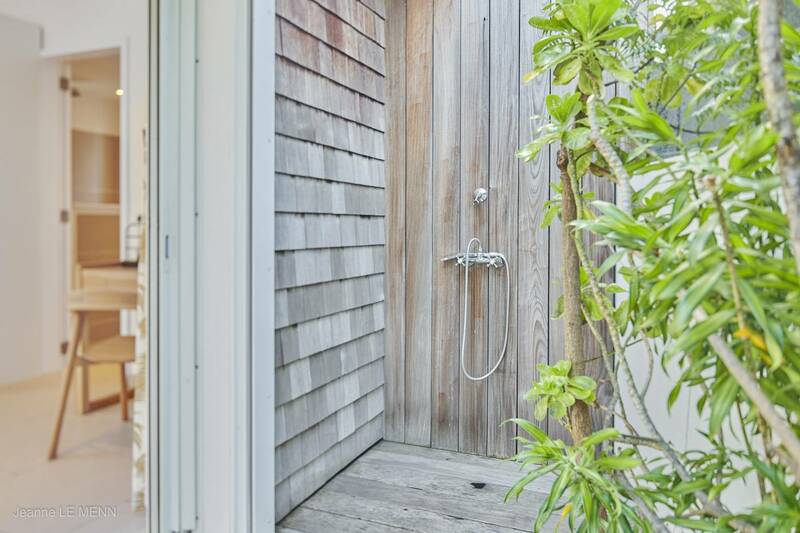 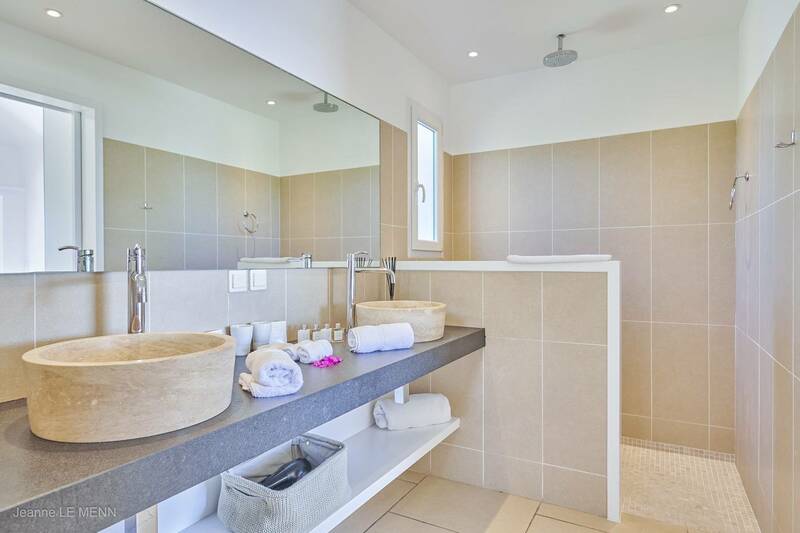 The 3rd king bedroom, also en suite, is similar to the other two and is housed in a separate pavilion: it has a bonus feature of an outdoor shower boasting a view of the Baie de Flamands and beyond. 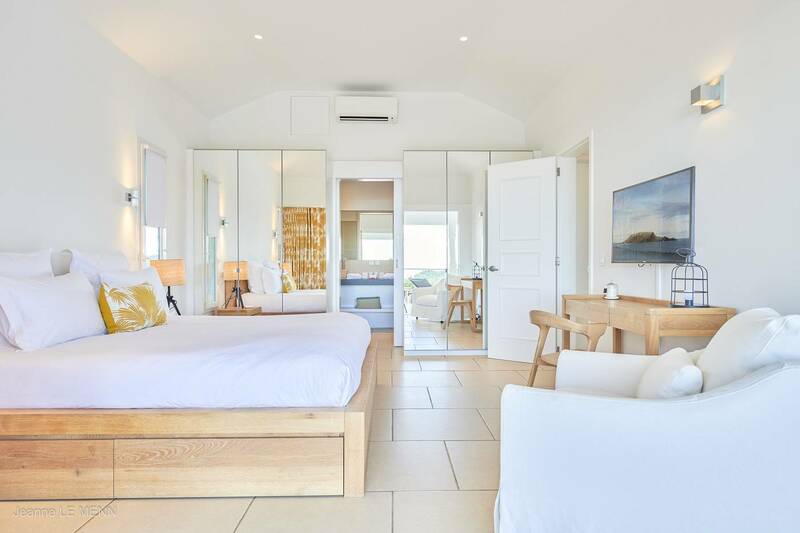 All the bedrooms have US datellite TVs, Apple TV and a terrific view. 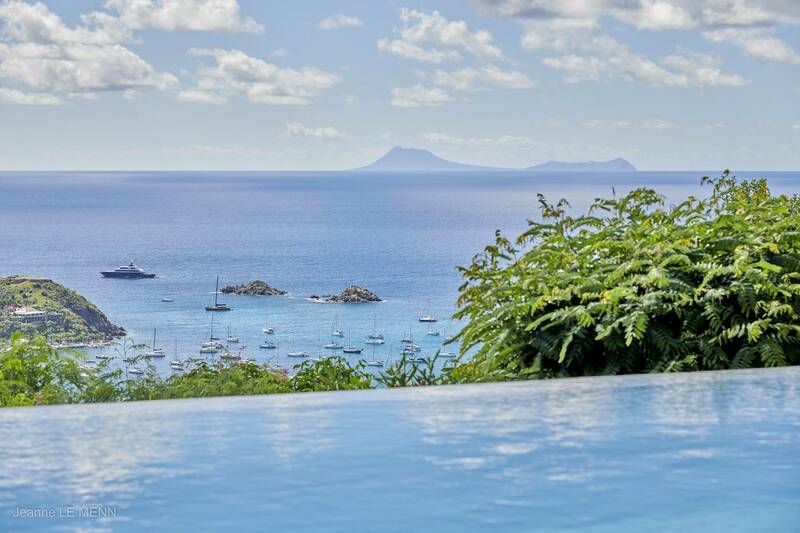 Villa La Colombe is ideal for 3 couples or a family. 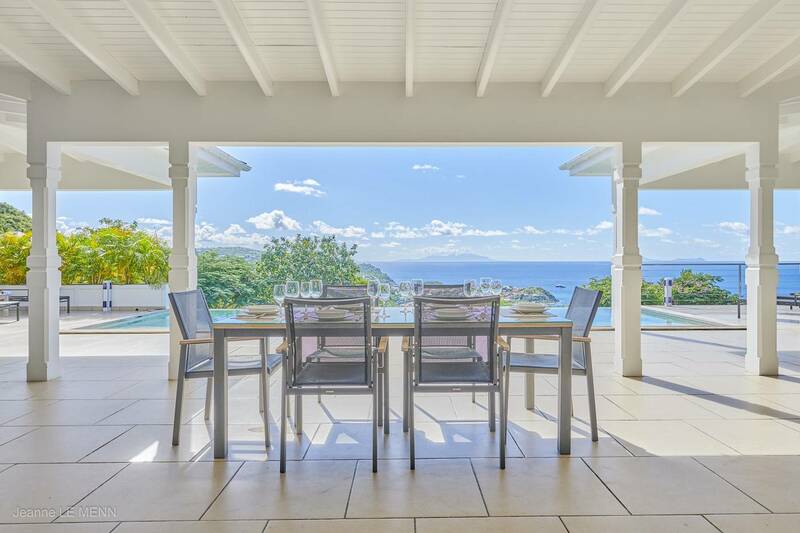 The expansive view and beautiful sunsets. 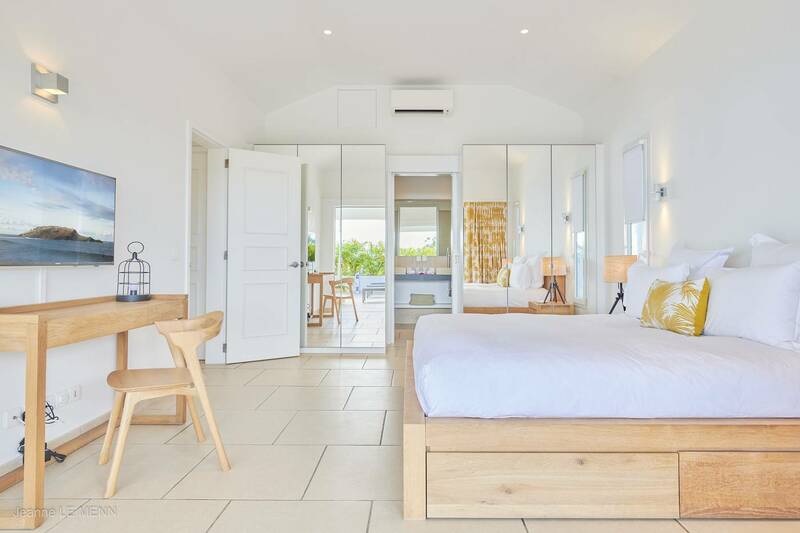 Features 3 en suite bedrooms, one in its own pavilion, large pool and great views from almost every vantage point.